This is a letter to Kansas Governor St. John from Annie Campbell, a medical and temperance lecturer from out of state, who seeks the Governor's endorsement. She has been unsuccessful with her temperance work because, as she states, "the people seem afraid of me". She hopes his endorsement would help her get lecture commitments. She had worked in Indiana for ten years. 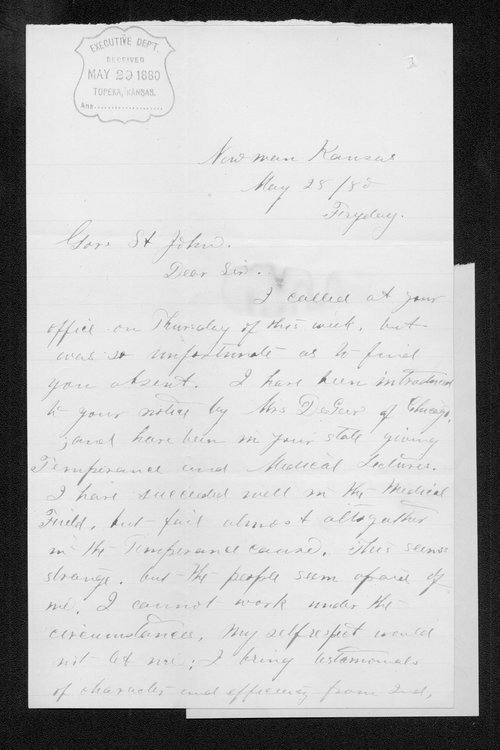 The letter was written in Newman, Jefferson County, Kansas.